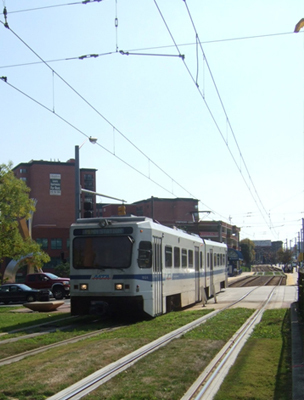 Program: The Baltimore area Red Line Rail Line is a 14 mile, east-west transit line connecting the areas of Woodlawn, Edmondson Village, West Baltimore, downtown Baltimore, Inner Harbor East, Fells Point, Canton and the Johns Hopkins Bayview Medical Center Campus. The locally preferred alternative is a Light Rail Transit (LRT) line that runs mostly as a dedicated surface transitway in the median of existing roads with tunneling under Cooks Lane, downtown and Fells Point. The project is a New Starts project under FTA. ArchPlan's current consultant contract extends to 2012. Consulting work started in 2004..
Design Approach: The Red Line is a priority corridor in the Baltimore Regional Rail Plan of 2000. 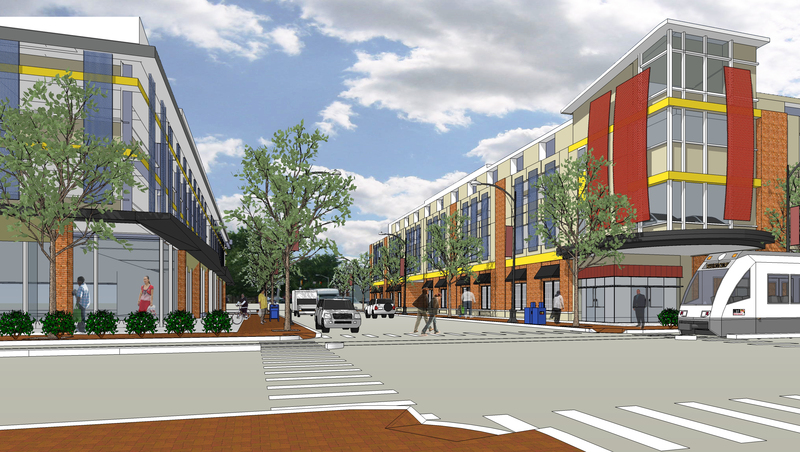 Extensive design work will be performed with stakeholders in station area planning teams along the entire corridor. Responsibilities: ArchPlan serves on a multi-disciplinary team as a consultant for station architecture, planning, and urban design. 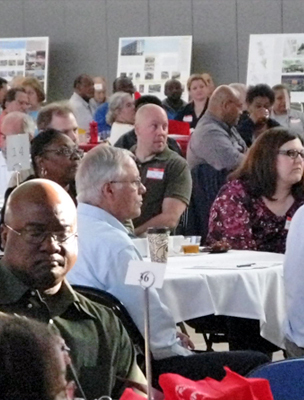 ArchPlan participated in defining and evaluating alignment alternatives, modes, and station locations. We also facilitated public participation and assisted in the preparation of documentation required for federal “New Starts” transit projects. Corridor planning, definition of alternatives: Between 2007 and 2010 ArchPlan was the only architectural and urban design firm on the consultant team and participated in all relevant meetings, investigations and designs leading up to the "locally preferred alternative". DEIS: ArchPlan as the architectural and urban design consultant on the team assisted in evaluation of alternative modes, alignments and numerous presentations to the public. 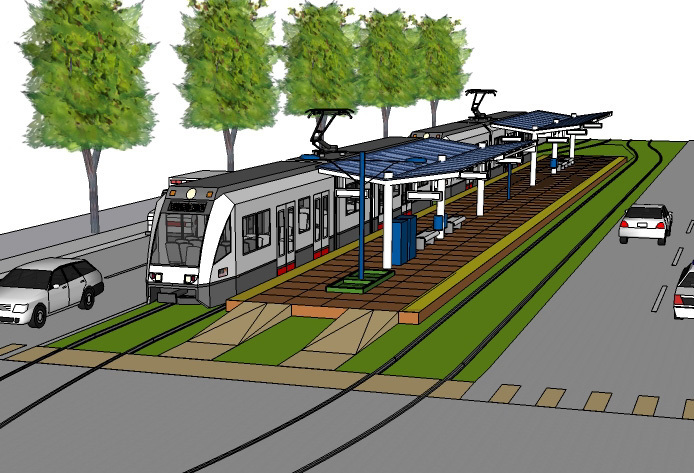 New Starts submissions: ArchPlan assisted in the preparation of a number of technical reports including substantial work on the FTA required Land Use report which investigates transit supportive land use and options for Transit Oriented Development (TOD). TOD pilot studies and Station Area Planning: ArchPlan assisted in organizing charrettes for TOD pilot areas, the work with the community resulted in a City adopted Small Area Plan. Starting 2010 ArchPlan participates in community based Station Area Planning. •	Extensive analysis of all existing and planned new development projects in the corridor. •	Investigation into environmentally friendly grass or sedum track-ways. ArchPlan is a sub-consultant to Whitman, Requardt & Associates (WRA) and Rummel, Klepper & Kahl (RK&K.